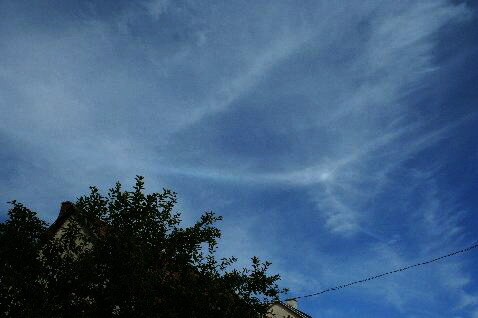 The image above shows the blue spot on the parhelic circle, photographed on 1 September in Vecsés, Hungary. Click the picture to see the colours in the original version. Its hue seemed almost electric blue compared to the white parhelic circle, and was really conspicuous even to the naked eyes ( 1 – 2 ). The blue spot can only be observed when the Sun is lower than 32°. It is a halo phenomenon that changes its position and length with solar altitude. When the Sun is 5° high, the blue spot is at 115° azimuth and only 2° long. At solar elevation 25°, it moves to 135° azimuth, and when the Sun is at 32°, the blue spot is positioned in the anthelic region, reaching 180° azimuth and 10° length. My images were taken between 16:06 and 16:10 local time. The solar altitude in this period was between 32-31°, meaning that the blue spot was in its longest phase and exactly opposite the Sun. 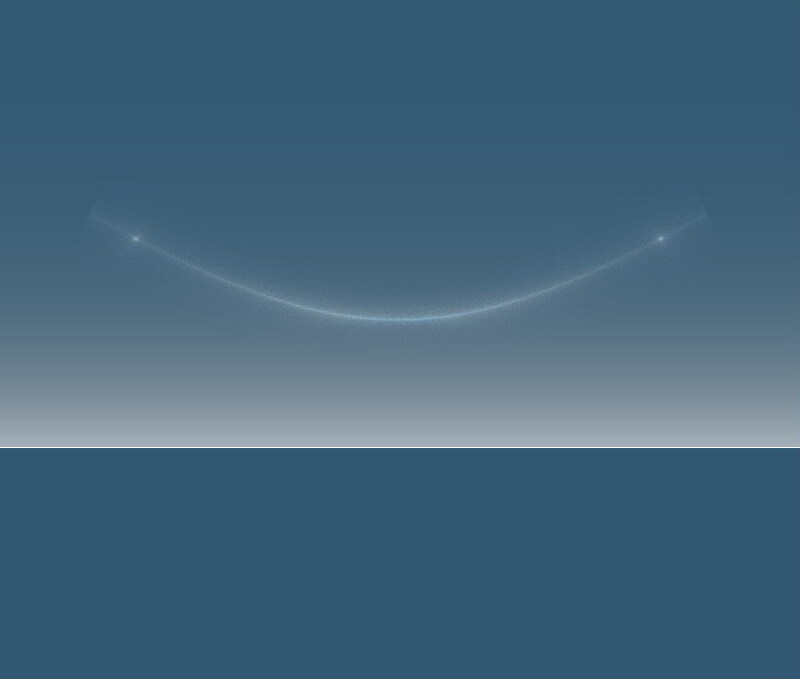 The simulation made with HaloSim reveals the position of the blue spot as compared to the 120° parhelia. The crystal population I used was hexagonal plates with 2° tilting angles ( 3 ). The composite image shows the original photo with unsharp masked image and simulation ( 4 ).